Mary Edna Carter, 81, of Richmond, Virginia and formerly of Fremont, Ohio passed away on Monday, May 21, 2018 surrounded by her family in Richmond. She was born on February 12, 1937 in Clairton, PA to Steven Farmer and Juanita (Slim) Taylor. Mary married John Carter, Sr. on September 26, 1955 in Lorain, OH and he preceded her in death in January 1994. She worked for General Electric in Bellevue, OH for twenty-three years and then for Eaton Controls in Fremont, Ohio for three years, retiring in 1996. 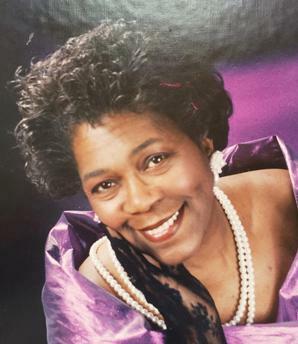 She was a member of Warren Chapel AME Church where she was in the choir, on the Stewardess Board, taught as a Sunday school teacher and was involved in missionary work. Mary was also a member of the Eastern Stars Chapter #94, Fostoria, OH, Daughter of Isis #73, Toledo, OH and Heroines of Jericho. She was a faithful worker at the Fremont Soup Kitchen and enjoyed helping those who needed a helping hand. Everyone who met Mary instantly became a member of the family. She enjoyed reading love stories, ceramics, painting and traveling the county with her friend and co-pilot, Shirley Holmes shopping and always seeking the occasional yard sale; farmers markets or vegetable stands around and in Sandusky County. She is preceded in death by her parents; husband, John Carter, Sr.; son, John Carter, Jr; daughter, Diane Carter, sister, Lillian Acropolis, and her co-pilot, Shirley Holmes. Visitation & Service: Tuesday, May 29, 2018 from 10:00-11:30 at Warren Chapel AME Church, 304 Mulberry St, Fremont, OH 43420. The Celebration Begins promptly at Noon. Memorials can be made in Mary’s honor to Warren Chapel AME Church. Dear Debbie and family, So sorry to of the loss of your Mother, I have great memories of you and your parents. What a gracious family you have. Blessings to all. May the Holy Spirit comfort you during this time. You will remain in our prayers.